Do you ever feel as if your kid's toys are consuming the entire place you live? Our one bedroom apartment is an okay size...for a couple. For a family of four, that's a different story. I am one if those parents that cave too easily when it comes to toys. Sometimes I even like the toys too. 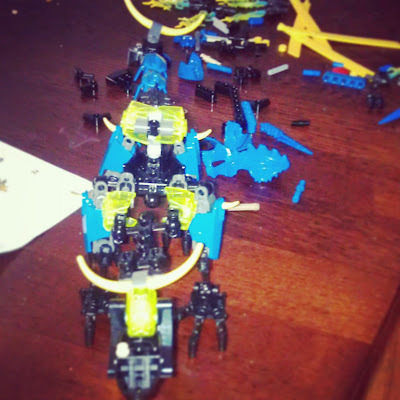 My son is hooked on Hero Factory which is made by Lego. The age group is for older kids but I find it good for fine motor skills. My son gets OT therapy and any kind of Lego building is helpful. He can now build his own sets with our help of keeping him focused. 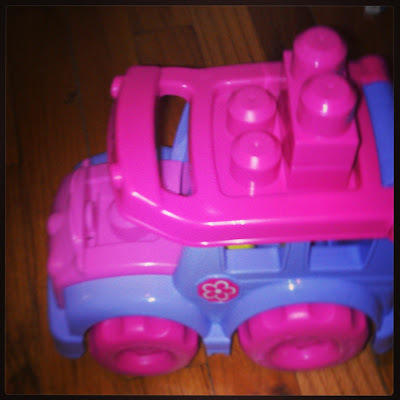 Mega Bloks make cute toys for girls and toddlers. I can't help but buy my daughter pink blocks. What toys do your children like the best? Do you have fun playing too?